Today we remember the great presence of screen and stage, Eartha Kitt, who died this last Thursday on Christmas Day of colon cancer. She was 81. Many remembrances that have been released since Eartha’s passing have offered a wonderful list of her accomplishments and talents. Singer, dancer, star of movies and television including her role as Catwoman on the ’60’s television show Batman, and her legendary recording of Santa Baby. They’ve made note of her sizzling personality on and off stage, be it her vocal come-ons in nightclub performances, or her relationships with the like of Orson Wells who described her as “the most exciting woman alive”. We’ve read about charts, awards, and her difficult childhood, struggling in poverty until her break came at age 16 when she won a dance scholarship after an audition with Katherine Dunham’s dance school. In this case, as I feel it is typically appropriate when remembering someone who has passed, I would like to share my personal account with the great Eartha Kitt. As student of jazz, but also a person under the age of thirty, I’m often told that I missed out on truly experiencing performances of those who made their musical careers in the ’50’s, ’60’s and ’70’s. As a consequence, I’m simply limited to their recordings, or at best, live performances of these artists today well past their prime. I had the pleasure of meeting Eartha Kitt a few years ago on Valentine’s Day when I was invited to emcee her show at Jazz Alley in Seattle. Tragically, I was not what you would have called an Eartha Kitt fan. I didn’t own any of her records, and couldn’t tell you much more about her other than the previously noted Santa Baby recording and her run on Batman. In preparation for the concert I did my research and prepared my notes, but no matter how impressed I became with her biography, what I saw and what I heard was nothing that I could have imagined from a then 78 year old woman. I was on a first date, or was soon to be, as my date was running late. She had missed my entire introduction of Ms. Kitt, which disappointed me, as I thought it might impress her to see me up on stage introducing a legend. Truthfully I was far more excited for the mere fact that I had a Valentine rather than being at the show. The attitude quickly changed. Eartha, in her late 70’s, needed no assistance finding her way on stage. Far from it. Even after discovering she had colon cancer, she continued her regular workout regime, consisting of running and weight lifting. This, no doubt, resulting in a figure that girls in their 20’s would be jealous of. With that figure came a seductive and sexual strut, attitude, and energy to match. Her voice seemed to have not lost a step either, producing a throaty, provocative tone. She would slowly move around the stage, purring, smiling and making eye contact. The eye contact more often than not was directed at the young men in the audience. As she seduced them, seeming speaking directly to each man she looked at, she might suggest that they introduce her to their fathers. It was a room half-filled with men, the other half filled with their Valentine dates, being entranced by a woman nearing eighty, far more focused on her than their dates. It was easy to become one of those men, as (and I say this respectfully) my date rapidly lost my attention. Eartha Kitt was the complete package as far as entertainers went. Following her show, it became far more important for me to seek out performances that would offer a complete entertainment package rather than just a big name or current popularity. Few managed to rise to the level that Eartha did that night, no matter who I ended up seeing in concert. Eartha Kitt was a treasure and someone I was blessed to see perform live. Far from a performance past her prime, as the abilities of Eartha Kitt never seemed to deteriorate. Groove Notes Poll: Who will win the jazz Grammy Awards this year? The nominations are out for the 2008 Grammy awards. And whether you agree with them or not (i.e. Roy Hargrove’s Earfood album getting snubbed), we’d like to know who you think will win. Below are all of the categories involving jazz artists, even if just in a small way. Let your vote be heard! And, as always, you’re comments are encouraged!!! As holiday traditions vary, I still make it a point each year to watch A Charlie Brown Christmas on television. If not by choice, then by the demand of my sister. I truthfully can’t remember a Christmas that didn’t include the viewing of that program. With the exception of perhaps Linus’ spotlight monologue, or the realization that “it wasn’t such a bad little tree after all”, the music, composed and performed by Vince Guaraldi has always been the most memorable aspect of the program, even before I had any appreciation for jazz. The music is heard throughout the program, be it during a hypnotic Peanuts dance session, an afternoon ice skating while Pig Pen dusts up the ice, or simply while Charlie Brown is walking down the street deep in thought. The music would remain my winter soundtrack as a child. While walking down the street on a quiet snowy afternoon to a pickup football game, I would be hearing in my head or humming would be Linus and Lucy, as opposed to the overplayed Kenny G covers. It was not simply that the music was tied to winter or the holidays that made it enjoyable. It was the fact that Vince Guaraldi simply knew how to make the music fun, enjoyable, and memorable, similar to his personality. He was often called “Pixie”, which he would not discourage, and would be known to wear funny hats, mustaches, and haircuts. He is quoted as saying that he never thought of himself as a great pianist, but wanted to be liked, play pretty music, and reach the audience. After becoming a more serious student of jazz, the fact that the music of Guaraldi was fun and that he was most famous for his work with Charles Schulz on Peanuts features didn’t detract from his legitimate contribution to the jazz world. Jazz didn’t and doesn’t always have to be serious or complex, and Guaraldi did well by, if nothing else, making his performances enjoyable. As the snow begins to fall here in the Pacific Northwest, catching a snowflake on your tongue and agreeing that it does in fact need sugar, seems incomplete without the soundtrack to A Charlie Brown Christmas playing in the background. Does anyone remember how fulfilling the Grammy Awards were last year for jazz fans? Of course we never get to see the jazz awards given away on television, but the recordings and artists who won the awards last year was certainly something to get excited about. The late great tenor saxophonist Michael Brecker takes home two Grammy awards posthumously, one for an album that could be the best jazz release of the last 25 years. Herbie Hancock takes home an award in the “Contemporary Jazz Album” category, legitimizing the category and keeping the trophy out of the hands of smooth jazz artists. Trumpeter Terrance Blanchard took home an award in the big band category for his emotional Requiem for Katrina release, and Patti Austin and Paquito D’ Rivera each receive Grammys for excellent work in the vocal and Latin jazz fields. And then when the televised portion of the program arrived, a time dedicated almost solely to rappers, rock stars, and country singers, two fantastic things happened. Pianist Eldar took the stage and wowed the audience. And as the ceremonies came to a close, Herbie Hancock stunned the music world by taking top Grammy honors, while artists like Kanye West had to keep their respective seats. Following the Grammy Awards, the sales of Herbie’s album shot up over 800 percent. Jazz, to at least some degree, had been put back on the mainstream map. Then last night, the nominations for the awards given for work over the last year were released. While no one might expect a year for jazz like 2007 again for a long time, the nominations this time around, with a few exceptions, left a lot to be desired. The Yellowjackets (a band who has tried to label themselves as everything but a smooth jazz band, even with the likes of Robben Ford and Bob Mintzer passing through, are simply that, a smooth jazz band), arrive back on the nomination board for the Contemporary Album award. In the vocal category, Karrin Allyson, Stacey Kent and Cassandra Wilson all get nods, but for albums that all might sound a little too similar to recordings they have released in previous years. Some very respectable nominations go to Terrance Blanchard in the Instrumental Solo division, a nomination each to Brad Mehldau and Pat Metheny in the Instrumental Album category, and Joe Lovano for his recording with the WDR Big Band and Rudfunk Orchestra in the Big Band division. These are all deserving recordings that should take home awards, with a coin toss deciding the winner between Metheny and Mehldau. The best album of the year happens to be missing from the list, that being Roy Hargrove’s live release Earfood. Hargrove is a musician who seems to keep getting better and better when it seems not possible, and with respect for the other nominees, Earfood dwarfs any jazz album released in the last 12 months. I certainly don’t mean to suggest that any of the nominated recordings aren’t good, because they most certainly are. I suppose I feel that maybe its similar to receiving a brand new car for Christmas in 2007, and then in 2008 receiving a gift of a nice pair of pants. While not a bad gift at all, it just doesn’t compare to how spoiled we were last year. This poses the question: Will we ever be as spoiled as we were last year? Will the public ever have the same buzz about jazz as they did after watching the Grammy Awards last year? I suppose that is up to the musicians and the nominating committee, so we shall see. On an interesting note, Miles Davis was nominated for a Grammy this year…sort of…for Best Album Notes. Francis Davis, the writer of the liner notes for the 50th Anniversary release of Kind of Blue appears to be the likely candidate in the Album Notes category. December 1st marked the 57th anniversary of the birth of the greatest electric bass player ever, Jaco Pastorius. It also marks the 27th anniversary of Jaco’s live recording of his album The Birthday Concert. This concert remains my all time favorite live concert recording. Not only for the amazing band that Jaco put together (including Michael Brecker, Bob Mintzer, Don Alias, and Peter Erskine), or for the amazing performance that the band and Jaco put forth. But also because it was a time where a musician like Jaco Pastorius, someone troubled by alcohol abuse, and seeming only held back by that, could find the opportunity to surround himself with friends and family, and simply celebrate with music. Jaco was in amazing form, as were the musicians around him, and they were all enjoying themselves in celebration. Losing Jaco a short while later was a tragedy to the music world, and this concert represents one point in time where he could be surrounded by the people important to him and celebrate his milestone. Below is the opening track to the concert, featuring the before mentioned musicians, as well as Melton Mustafa on the trumpet. This album is a must for anyone wanting to hear Jaco, quite possibly at his best. Enjoy! 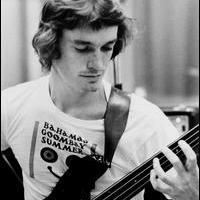 Click here to listen to Jaco Pastorius and the band play Soul Intro/The Chicken from The Birthday Concert.